Until recently a typical GPS tracking device installation could cost $1000 or more per vehicle due to a very technical and lengthy installation process. With the release of the OBD-II tracking device that has all changed. The OBDII tracking device plugs directly into your vehicles On Board Diagnoses (OBD) connector which is located in and around the dash area. These small but powerful devices have enabled individuals and small to mid size businesses to take advantage of all the benefits GPS tracking for a much more affordable price. 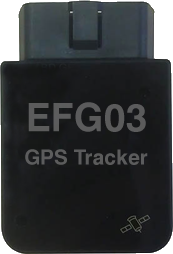 OBD GPS vehicle trackers can be set up and installed quickly and easily. And these devices continue to evolve, with some having accelerometers to determine changes in vehicle direction and velocity. If you’ve have ever thought about GPS tracking, but thought it was to expensive, think again. Enquire now to bring the benefits of GPS tracking to your business.